Balmy evenings by the water. 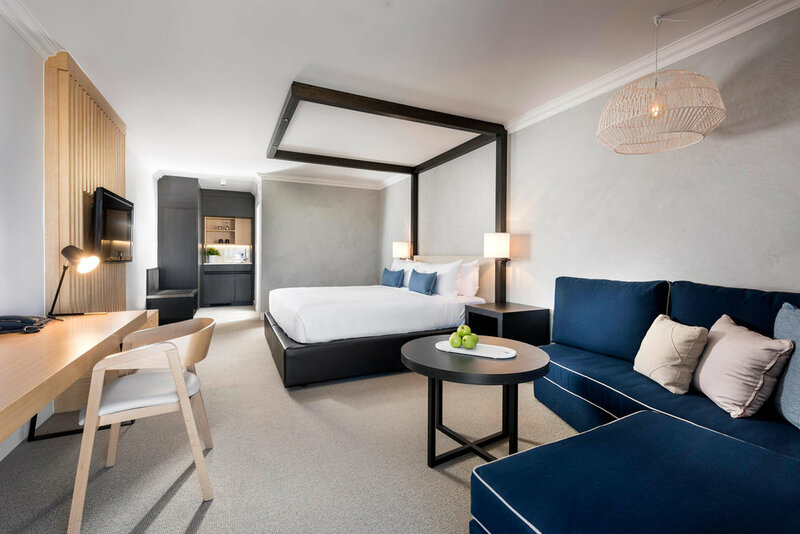 Situated on the picturesque Swan River, the Tradewinds Hotel is an iconic venue in East Fremantle, a short thirty minutes from the Perth CBD and a stone’s throw from the vibrant streets of Fremantle. The Tradewinds Hotel represents quality and value Fremantle accommodation. The 83 rooms and self-contained apartments have undergone an extensive refurbishment. Relax poolside or take in the view from the breathtaking new rooftop terrace.